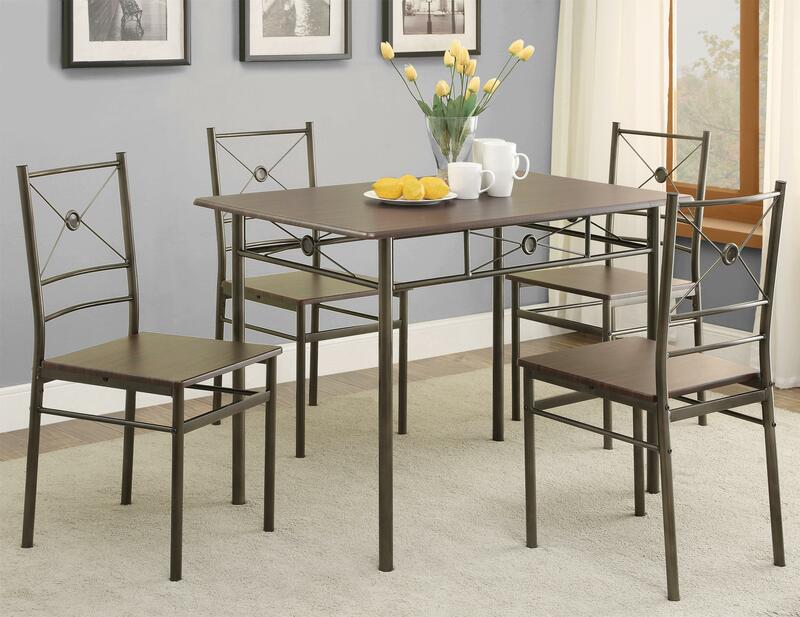 Perfectly proportioned for an eat-in kitchen or dining nook, this dinette set has an easy going casual contemporary appeal. Circular motifs on the chairs and along the side of the table offer visual interest. 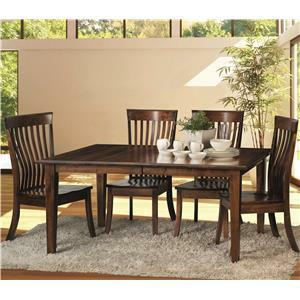 The 100033 5 Piece Dining Group by Coaster at Knight Furniture & Mattress in the Sherman, Gainesville, Texoma Texas area. Product availability may vary. Contact us for the most current availability on this product. Side Chair Info 16.50" x 16.50" x 33.75"H. Seat Depth: 15.75". Seat Height: 17.00"